I, Deepak D. U., am the Manager of 'Team Wyvern' . I am pursuing my third year Mechanical Engineering in Annai Vailankanni College of Engineering, Kanyakumari District. The aspiration to design and develop a race car started a long way back. Towards enhancing our technical skill, our college encourages to involve in several projects. During our second year, our college motivated us to design and develop 2 race cars – one on road and an the other off road. The motivation enriched our automotive spirit and this enabled us to successfully develop 2 race cars in just 28 days. 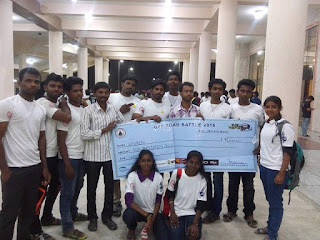 Our college appreciated our effort and awarded us with a cash prize of 1 Lakh rupees. 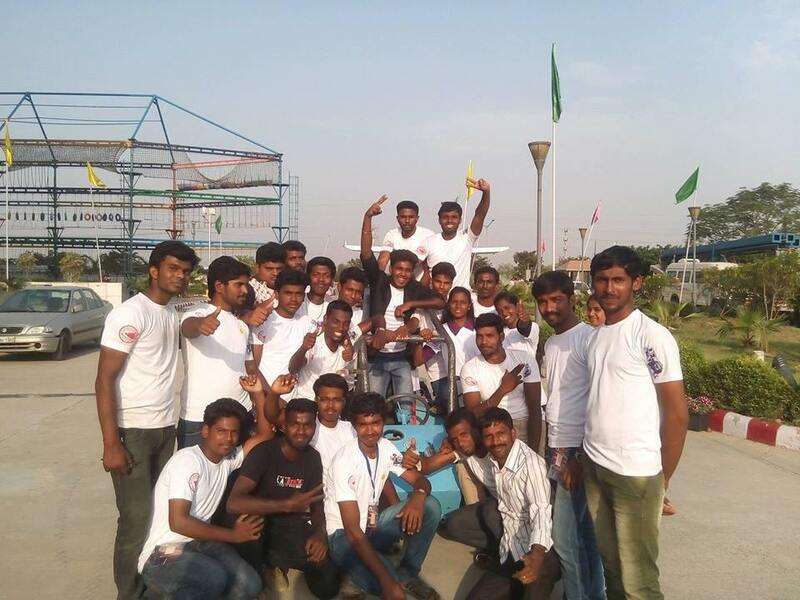 The recognition gained at our College and our visit to 'Supra 2015', the premier race car designing event conducted by SAE ( Society of Automotive Engineers) inspired us to participate in national level events. 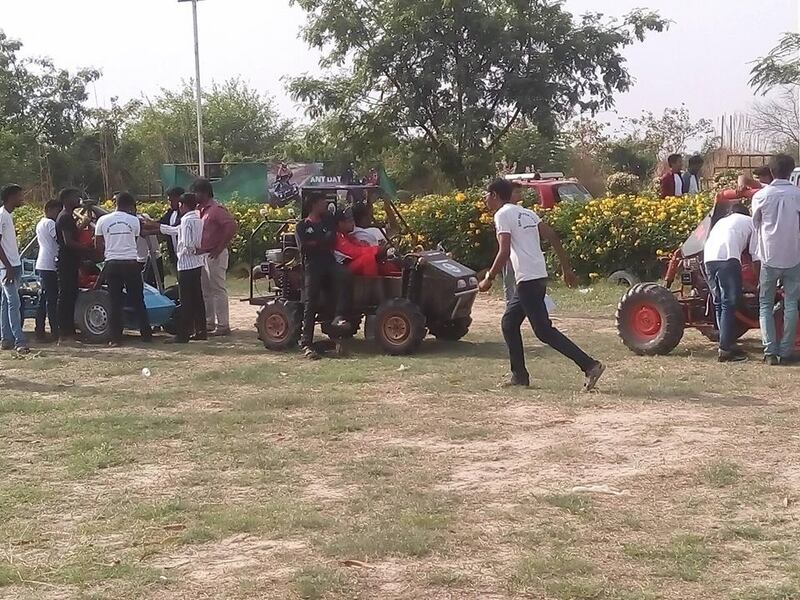 We aspired to participate in the prestigious GBU (Gautam Buddha University) OFF-ROAD BATTLE 2K16, sponsored by Society of Automotive Engineers, India (SAEINDIA). As a team of 25 second and third year Mechanical Engineering students, comprising 22 boys and 3 girls, we joined hands for the endeavor. After the successful enrollment, we submitted our design and cost report for the preliminary round. To our surprise, our submission gained the 13th place among 85 submissions. With enhanced enthusiasm, we started developing our vehicle with the specification prescribed by GBU. The initial expenses were met by us. We successfully developed the car with sponsorships. We faced difficulty in buying the prescribed driving kit, a criteria for qualifying the Technical Inspection. Our college sponsored us the driving kit. 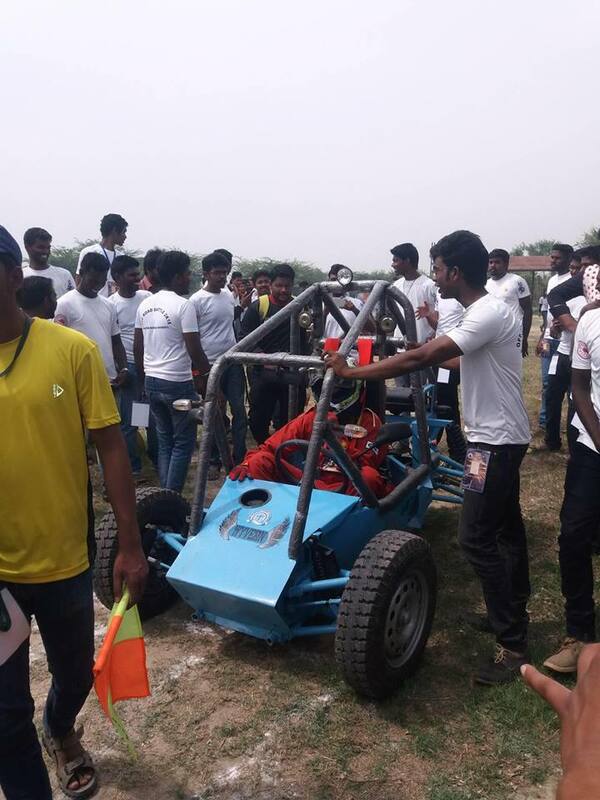 The vehicle was tested in the track created for us in the college premises. After the successful trial, our team of 25 students left to New Delhi on 24.03.2016. On reaching GBU, we found that some problems had occurred in our vehicle during transportation. We managed rectify them. 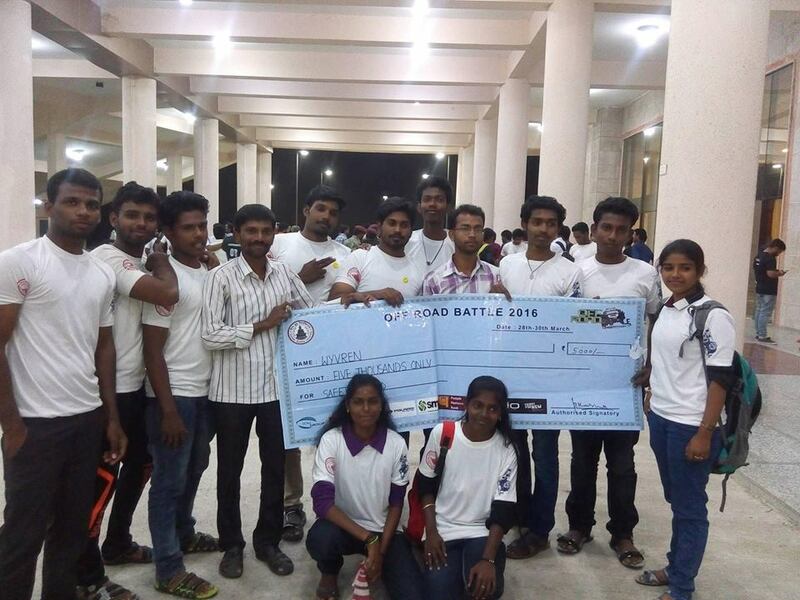 The 'SAE-GBU OFF-ROAD BATTLE 2K16', was held from 28.03.2016 to 30.03.2016. Eighty five off road race cars competed in the event. We got through the Technical Inspection, Breaking test and finished the acceleration test in the second place, followed by the Tug of War. On the final day of the event, The Pull the Bull round started in the off road racing ground, a vast area with twists and turns. It had two check points. During the race, our clutch plate got damaged to our distress . With the encouragement of our our staff members, we worked on the clutch plate and successfully completed all the rounds. 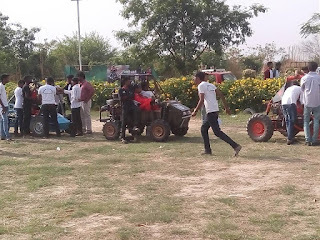 We got selected for the final round and we completed two check points in the Endurance round with zero penalty (including us, only two colleges managed to finish the Endurance test with zero penalty). The problem in the clutch plate persisted. We completed the Economy test in third place. Our car was recognized as the best car with safety measures. Although there were a few difficulties, we are on cloud nine at present, with the award we got at the great event. I gratefully remember the encouragement and support given to us by our college, without which we wouldn't have accomplished the great task.